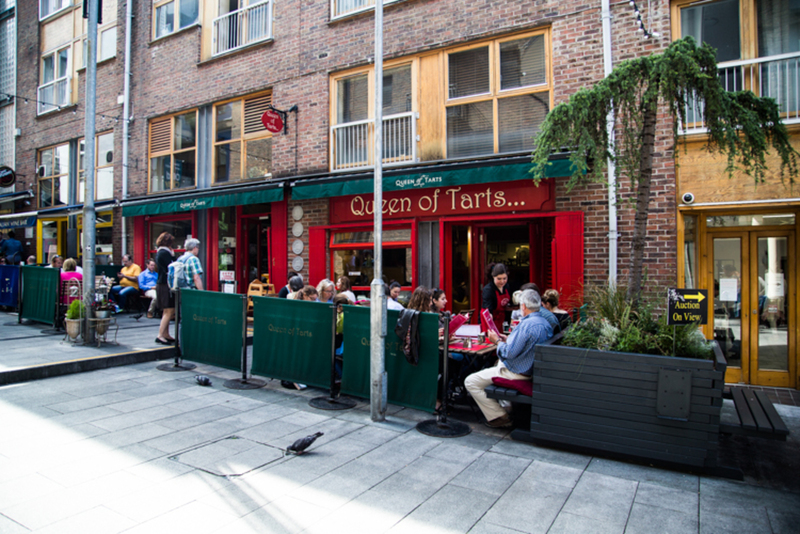 There are mixed feelings among business owners and residents in Temple Bar over the decision by Dublin City Council officials to sell off 25 commercial properties in Cow’s Lane and Essex Street West: worry, confidence, confusion and uncertainty. Among the properties to be sold are those hosting the Gutter Bookshop, Queen of Tarts, Claire Garvey’s Designs, La Dolce Vita, Dublin Ink, Lazy Bike Tours and Run Logic. Why is the council selling them at all? Why doesn’t it keep them as a steady revenue stream? Kenny stressed that the properties are being sold by the Temple Bar Cultural Trust, rather than the council, even though the trust has been taken over recently by the council and is run by its senior management. Still, the distinction is important; it means there is no need to consult city councillors on the decision. 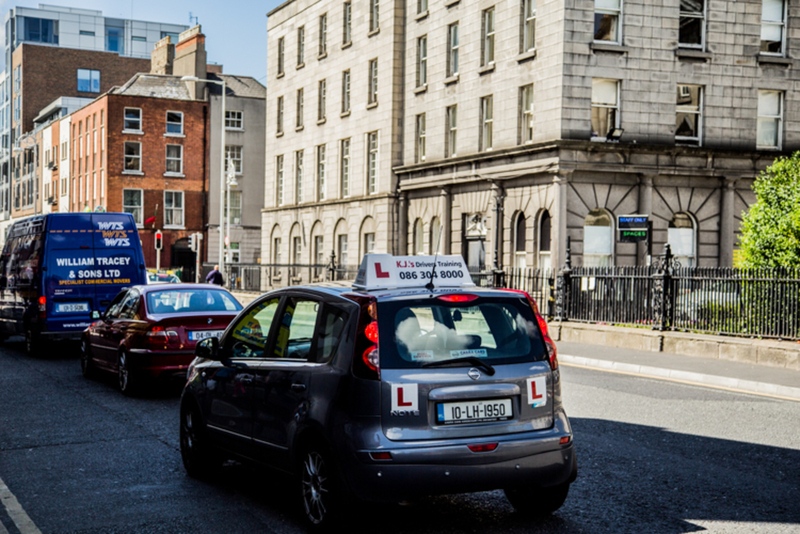 The council plans to spend the money it makes through the sales on Temple Bar’s infrastructure, improving footpaths, lighting and cobblestones. Initially, the council wasn’t planning to offer businesses a chance to buy the properties they are now renting. But it has decided to give them that option after all – at market value. It plans to contact each tenant and give them a set amount of time to decide. Any properties that aren’t bought will be on the market within a couple of months, says Kenny. For those who don’t buy their premises, their current leases will continue with a new landlord. Claire Garvey of Claire Garvey Designs on Cow’s Lane welcomes this news. She sees it as an opportunity to buy her shop, rather than as something to worry about. She is currently considering the option – though she doesn’t know what it will cost her yet – and she points out that it is rare that single retail stores can be bought. 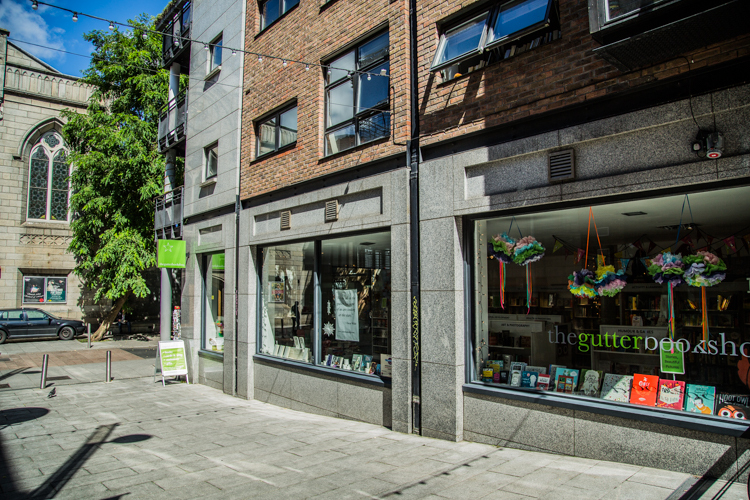 Bob Johnston of the Gutter Bookshop hasn’t ruled out buying his premises either, but isn’t particularly concerned if he doesn’t. He feels a change in ownership wouldn’t really affect the bookshop as he has an ongoing lease. 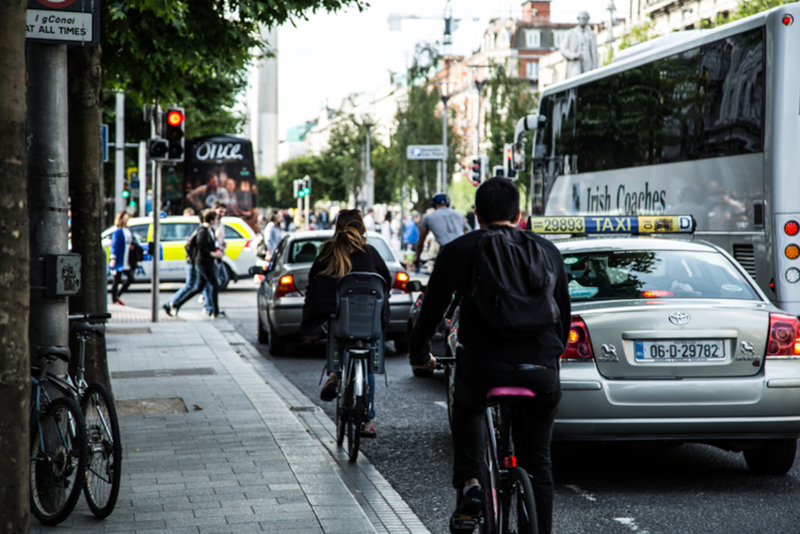 Johnston does hope, though, that the area will retain the independent Irish businesses – like the Gutter – and the start-ups that have come to define these two streets. “It brings character to the area,” he says. Labour Councillor Mary Freehill has similar concerns about retaining the independent businesses and particular feel of this part of Temple Bar. She says the council planned it as a cultural haven different to the other side of Temple Bar, which is full of bars. The Lazy Bike Tour Company only opened up a month ago, so the tenants just signed a new lease. 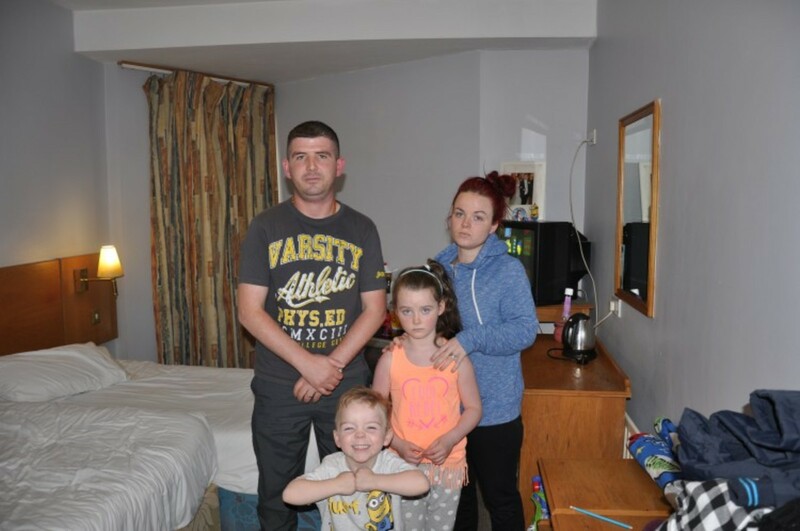 Ciarán Healy says the sale of the premises won’t change much for the business, but at the same time wouldn’t like to see a change in the community. 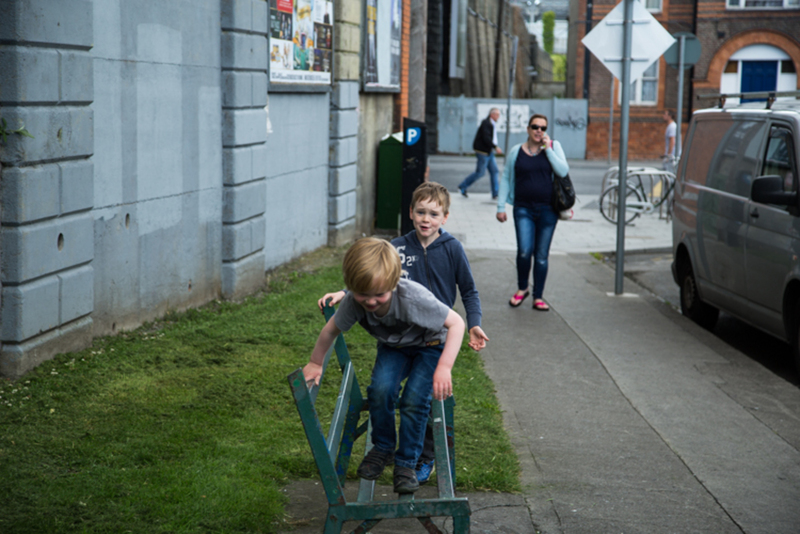 “It is a little hidden gem and Dublin City Council just got the balance right,” he says. He thinks selling the properties separately will keep things that way. Sinn Féin councillor for the area Chris Andrews was concerned when the council proposed to sell off all the properties in one lot. He is happy that it has agreed instead to sell them off individually, or in groups of two or three. But the Temple Bar Residents’ Association are still concerned about the knock-on effects that the sale could have. It would like to see each property sold individually to a new owner – or if necessary, a landlord – so that amalgamating shop units to create bigger premises would not be feasible. Residents would also like to see each sale subject to the condition that the premises cannot be turned into a pub or nightclub. Above most of the commercial properties that are being sold are apartments full of residents who would probably not appreciate any increase in boisterousness. Kenny is confident that Cow’s Lane won’t become an extension of the “temple of bars”, and says the council won’t give planning permission for any pubs. The residents aren’t terribly reassured though: the case of the Badass Café shows that a restaurant can get away with operating like a pub without permission. After financial scandals, overspending and bad reports, the Temple Bar Cultural Trust began to wind down in 2013. It was expected to be fully dissolved through legislation by the end of 2013, but the council is still waiting for this to happen. All of the trust’s significant debts have been paid off by the council – it sold one property last year to help with this, says Kenny. He affirms that all the money coming from the sale of commercial properties is ring-fenced for investment in Temple Bar. Kenny says the trust should be fully dissolved by the end of the year, and that it isn’t a concern anyway because the council is now fully in control of it. DCC are allowing even more fast food operators into this area despite the fact that there are over 240 food vendors already operating in Temple Bar.